People with learning disabilities face a wide variety of challenges in their day-to-day lives. With so many aspects of society not ideally suited to those living with learning difficulties, it is vitally important that help and assistance is provided wherever possible. Organisations such as the British Institute of Learning Disabilities (BILD), which is a national charity, fulfil this need thereby improving the lives of people with learning disabilities throughout the UK. One of the key responsibilities that BILD have is to ensure that the needs of people with learning disabilities are properly understood and always taken into consideration. They do this by working closely with influential organisations, regulatory bodies and in particular a number of departments within the British government. New policies are formed, where appropriate, to help improve the quality of life for people with learning difficulties. In order to make sure these policies are as effective as possible, a great degree of the British Institute for Learning Disabilities work is to undertake research. The result of this research forms one of the most in depth bodies of knowledge about how to best serve and respond to the requirements of those living with learning disabilities. BILD also make this research widely available to third party organisations by means of various publications and conferences. This importantly helps to raise awareness of people with learning disabilities, as the information filters down through the various channels within wider society. The British Institute of Learning Disabilities also provides training sessions, in an effort to help increase understanding. During these sessions, family carers, employers and professional care staff are advised on a broad spectrum of issues relating to learning difficulties. People with learning disabilities themselves often participate in the teaching workshops. 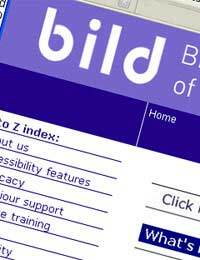 A primary concern of BILD is to ensure the quality of services provided by various organisations to people with learning disabilities are maintained to a high standard. To aid service improvement and development, BILD have created a process of review and change, called The Quality Network. The aim of the Quality Network is to provide a structure in order to gather qualitative information about a particular service provision. This is achieved by gathering people with learning disabilities, and the service provider together to obtain feedback about how a service fits into the user’s life, and how well it is being utilised. The service’s various points of success and failure are recorded. This understanding, gathered from the Quality Network meetings, is then ultimately used with the aim of improving the service. The Quality Network is said to be an ongoing process that works in a cycle to continuously improve the outcome of a given service, from both the perspective of the service provider and also the service user (those with learning disabilities). The British Institute of Learning Disabilities also runs a membership scheme, which is open to everyone, from family members, to carers, professionals and those that actually live with a learning disability. The membership donations help to fund BILD’s important activities. As a member you will be entitled to discounts on BILD publications, receive news and journals free of charge and also have access to message boards and networking events. Becoming a member of build is a great way to keep up to date, obtain support, and discuss the issues affecting people with learning disabilities, as well as their families and careers. People with learning disabilities enjoy a discount membership rate. @kitkat. Here is a link to the British Institute for Learning Disabilities website. You could also ask your GP if there is any other help available. I am a male mid 30s with epilepsy.I have had moderate learning difficulties since I was a child caused by epilepsy. I have been to university but I have slow information processing skills and memory problems. Primarily attributed to epilepsy caused by a tumour in my brain. I would like to know where I can seek help for this. I had a capability assessment by an occupational psychologist and told I have a n IQ of 16 my age group. My adult daughter has Turner Syndrome and shows all the signs of nonverbal learning disorder.Her Ed Pysch reports showed a 17 point difference in her verbal performance IQ and she was diagnosed with Dyspraxia at the age of 12.She has become more withdrawn, anxious and depressed as she has got older and this has reached a point where she will not engage with anyone anymore and simply melts down with anxiety.She has been taken out of area by the local council and is currently being held under a Guardianship Order 100 away from where we live because of her "behavioural" problems.The home has said that she is suffering from emotional deprivation and needs to come home but the council say that they have nowhere for her.Everything that we have read about NVLD suggests that she needs treatment for her anxiety but her psychiatrist is refusing to treat her because he is worried about the effect that any medication may have on her liver.She has a multi-disciplinary team around her but they are not doing her much good.Is there any expertise out there that we can access as all the best advice seems to be in the USA and there seems to be no help here in the UK.My daughter is now so depressed that she has stopped taking her insulin and says that she just wants to die because she is not allowed to come home.We feel that we need some help and understanding and someone who can support her with a knowledge of NVLD.Any suggestions of specialists or treatment centres would be welcome.